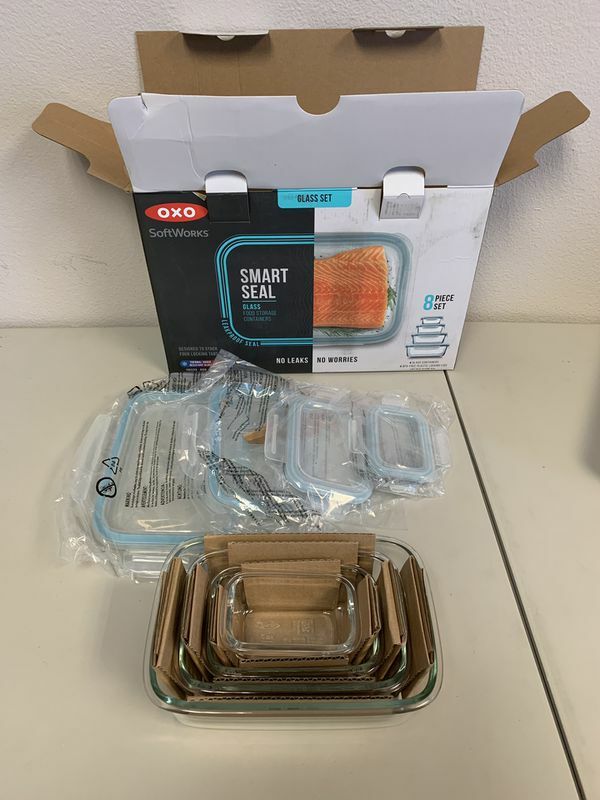 OXO SoftWorks Smart Seal Rectangle Glass Containers are made from naturally BPA-free borosilicate glass, so they can withstand extreme temperature changes without cracking or shattering. 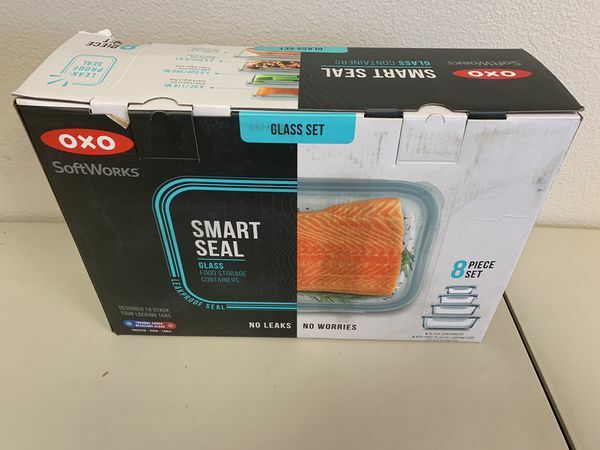 Lids with locking tabs ensure a leakproof seal, while an elegant design offers kitchen to table appeal. 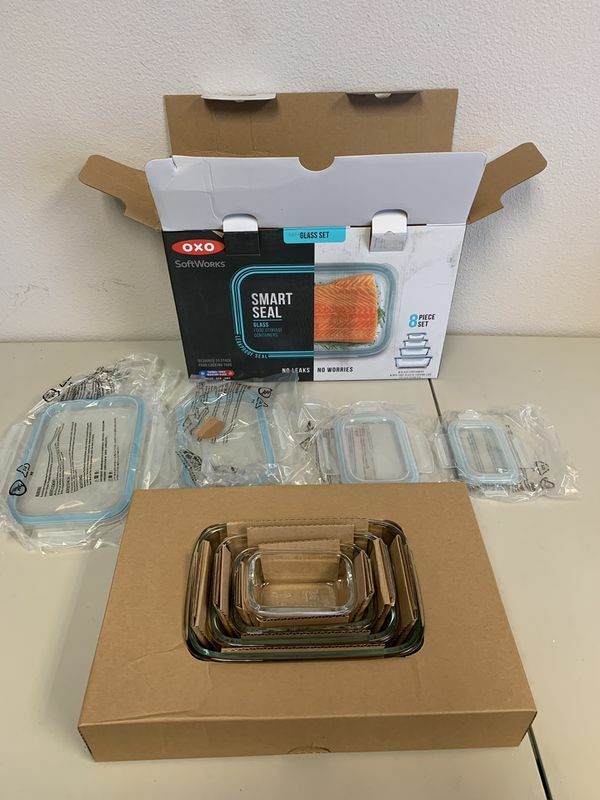 The 8pcSet includes 4-oz, 1.6-cup, 3.5-cup and 8-cup containers with matching lids. 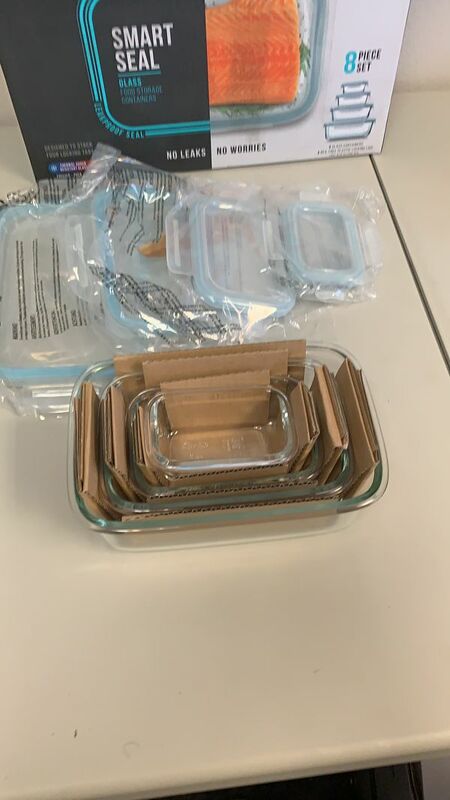 The containers are oven, freezer, microwave and dishwasher safe, and nest or stack for simple storage.